J.S. 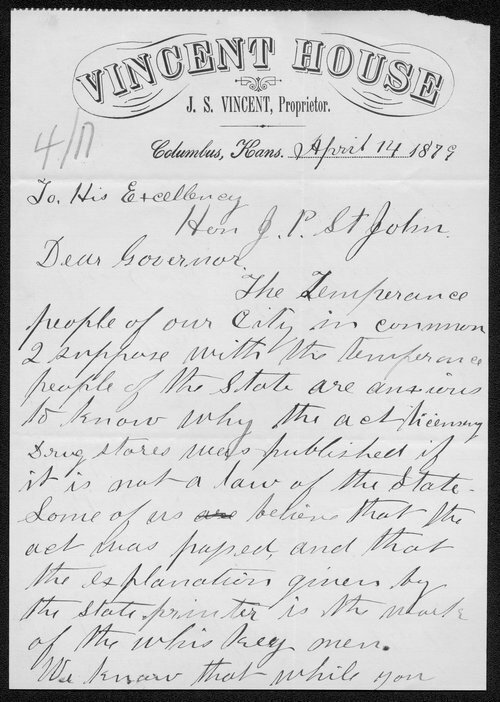 Vincent writes Kansas Governor St. John questioning why the drug store licensing act was published, unless it has become a law of the State. Vincent suspects it involves the "work of the whiskey men." He urges the Governor to come speak on the matter in Columbus, Kansas.